Pretty Honest is truly a wonderful book and by far the best beauty book I own. From the blush pink hard back cover, to the 330 pages of content - I just can’t fault it. For those of you who may have not heard of Sali Hughes, she is a Welsh journalist and the Beauty Editor for The Guardian newspaper. She has heaps of experience writing for big time magazines (20 years worth of beauty related wisdom to be precise) and this is reflected through every chapter of her book, Pretty Honest. Now, I for one associate beauty books with big lavish glossy pages, full of models with the most beautiful skin and the most incredible makeup, which the average Joe would struggle to recreate. 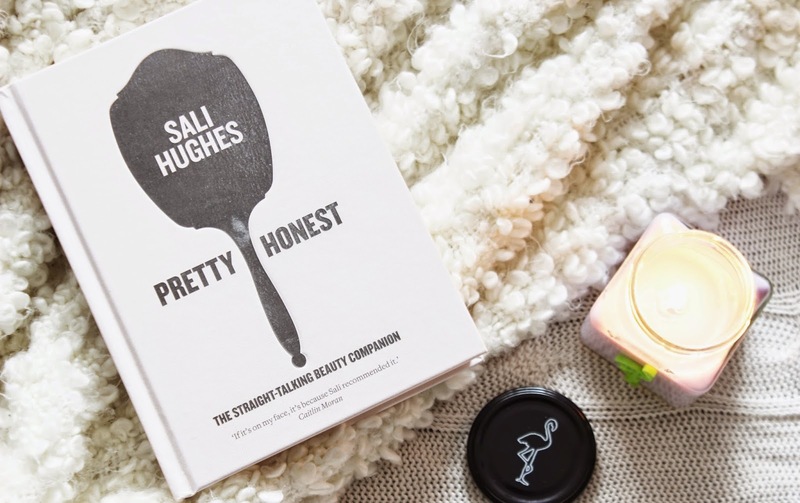 I love these books as much as any beauty addict, but Sali Hughes's book is different, it’s full of achievable tips and advice written in a no-nonsense, witty, informative and honest style - without the big glossy pages! I may be a beauty blogger, but that doesn’t mean I don’t still find the beauty industry overwhelming, with thousands of products to choose from, glossy ad campaigns for the latest lipstick and various beauty recommendations. But this book isn’t filled with jargon and it covers everything from teenage beauty, waxing, ingrown hair, cleansing, things that work, motherhood, sunscreen, acne, scars, age spots, skin types, mature skin, fast fixes, brushes and cc and bb creams just to name few! For me, this book is a breathe of fresh air in a beauty industry built on hype and I have taken notes throughout of the products I want to get my mitts on! Pretty Honest is a thought provoking and a classic read. Whether you’re an ammeter, novice or professional beauty lover, this book has something for everyone. It's without a doubt my beauty bible and my ‘straight-talking beauty companion’.